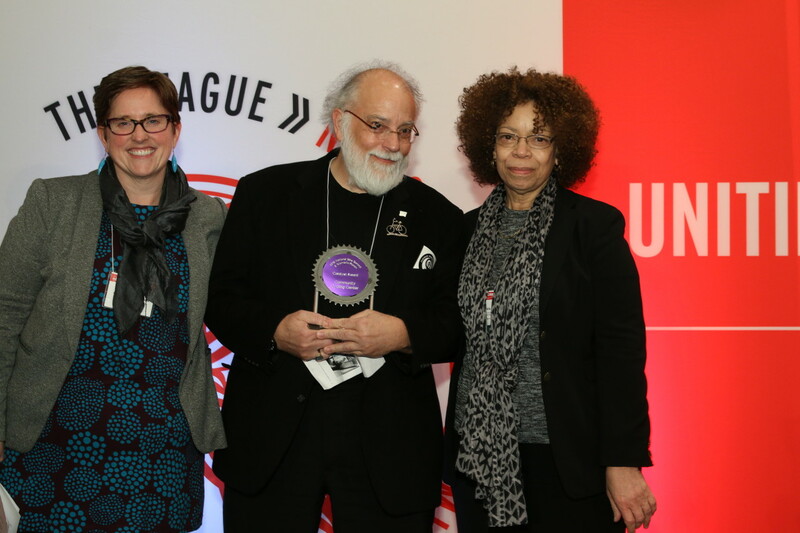 We are excited for our community partners to receive national recognition for working tirelessly to engage with their neighbors, fix bikes, lead rides, and advocate for safer streets and healthier communities. They continue to build a movement that is growing stronger every day. We have come a long way over the course of 20 years of broadening access to bicycling and its benefits. What we’ve learned is that it’s about more than just bikes. It’s about listening and engaging with people in our community whose voices are typically underrepresented at the tables where policies and decisions are made about our city of Portland. Advocacy is about being a bridge and supporting people as they amplify their own voices. What is next for our community partnerships? In Cully, Andando en Bicicletas’ (ABC) goals for 2016 are to continue building on the momentum they gained in 2015, by advocating for more bike storage solutions at additional housing sites within Hacienda CDC. 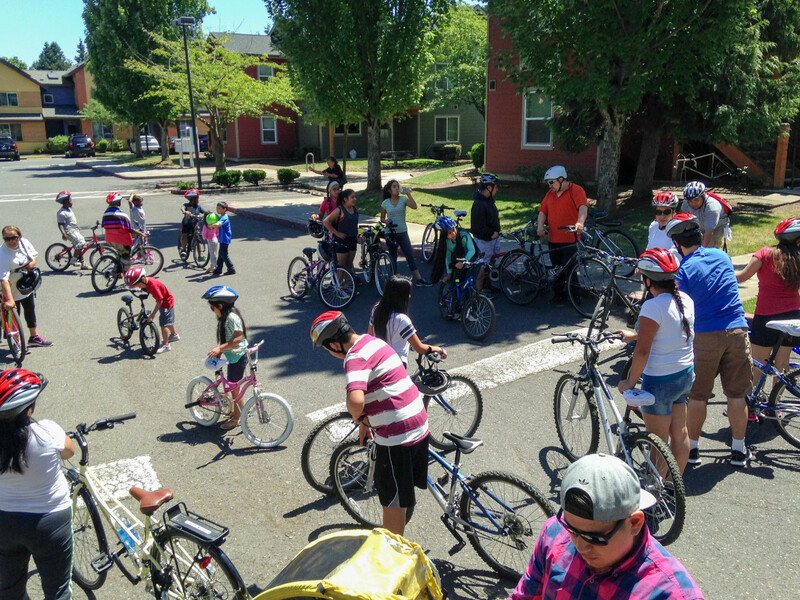 They will lead several bike rides this summer with kids in the Expresiones after-school program. New ABC members will earn bikes and participate in bike safety and mechanical trainings. 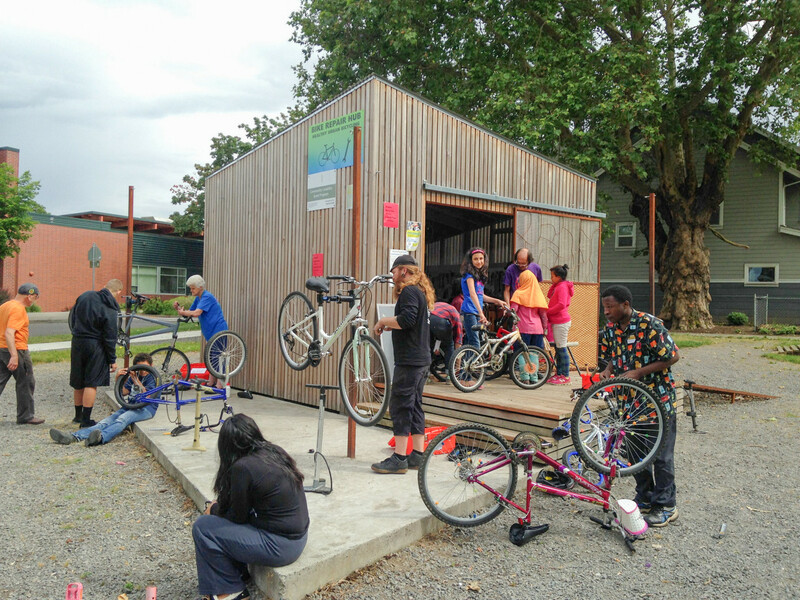 These trainings will allow more ABC members to lead quick-fix events, where they will repair bicycles in preparation for big rides, like the one in June to Explorando, a bilingual nature fair put on by the Columbia Slough Watershed Council. ABC will host a bike fair during NE Sunday Parkways and work with Smart Trips to lead a bike ride for new Portlanders that showcases Living Cully Plaza and other Cully attractions. In Portsmouth we also have the Bike Repair Hub, after community members expressed a need for affordable bike repair in New Columbia. We will expand the hours of operation this summer from one day a week to two, while providing mechanical trainings and a new Build-a-Bike program for neighbors who volunteer. The Catalyst Award honors our community engagement work in Cully and Portsmouth. Currently, this work is the most difficult to find funding for. Many organizations are excited about what we do, but our programs do not fit neatly into their parameters for funding. Our community engagement work focuses on supporting individuals with deeper and more meaningful interactions. Often, programs that cast a wider net with limited engagement are more fundable because their numbers are impressive. But we believe strongly in our work to empower communities to advocate for healthier, safer, more equitable neighborhoods. And we know many of you believe in supporting the power of this work, too. We invite you to join us in supporting the Community Cycling Center this year. Thank you again to the Alliance for Biking & Walking and the League for this wonderful recognition. We are truly honored. And thank you to all of the community bike organizations around the country who continue to inspire our work each year.